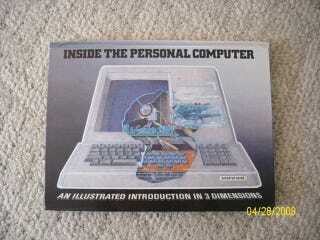 Awesome 1980s Computer Pop-Up Book: A Floppy What Now? Now this is one amazing Goodwill find: A vintage pop-up book designed to teach burgeoning nerds about the wonders of the modern computer. Floppy disks, ASCII, and the dot-matrix printer. Oh my. Now that we've met, I'm ready to work—and play—with you. See you soon! Goodbye.